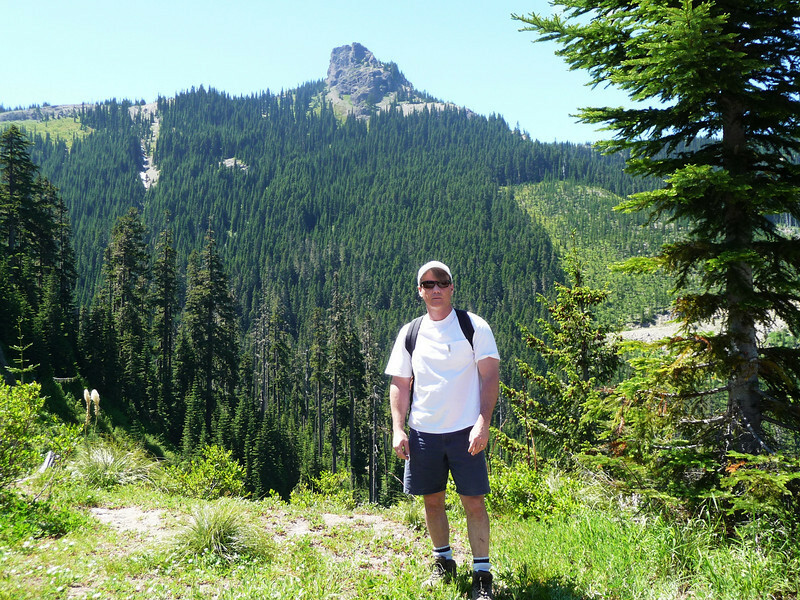 July 18, 2010: Dave and I hiked Sunrise Peak in the Southern Cascades. Perfect weather; very little wind. And the views... breathtaking. Mt. Rainier, Mt. St. Helens, Mt. Hood and Mt. Adams. Dave said it was his favorite hike to date (then again, he doesn't do the big mountains or snow)... :) I love the Southern Cascades!